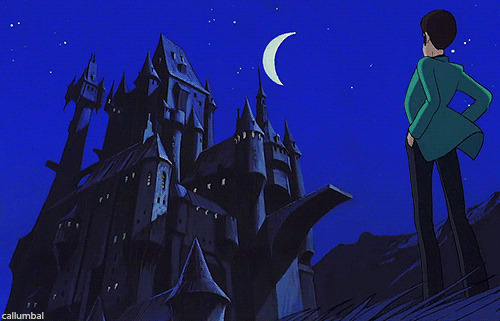 To kickoff the Studio Ghibli and Hayao Miyazaki Retrospective, let’s take a look at Miyazaki’s feature film directorial debut, Lupin the Third: The Castle of Cagliostro, or simply, The Castle of Cagliostro. Plot: 8.1/10- The film’s plot is simple yet effective. While the movie uses the "save the princess in the castle" cliché, it never hinders the film nor feels clichéd. One of the film's strong aspects is the pacing. Never is there a dull or boring moment throughout the film as it goes about its classic thief caper story. My main issue problem with the entire movie is the tonal inconsistency. During multiple points, the tone goes from semi-serious action adventure to a kid's movie. The more serious parts are more effective, but the more lighthearted moments still have their place. With that said, the English dub does lean towards the more family friendly vibe than the Japanese. Characterization: 8.0/10- Despite being my first experience with the cast of characters, after the brief ten minute introductions, the viewer knows everything that they need to know about the characters and their dynamics. Each one is distinct and memorable, even if the screen time for Jigen and Goemon was limited. Being the star, Lupin III is obviously the most entertaining and most well realized of the character, although he is portrayed as a more heroic character than other adaptations. Lady Clarisse falls into the "damsel in distress" trope, but she is still likable and served as an important plot point well. Direction: 8.8/10- Even as one of Miyazaki’s earliest works, The Castle of Cagliostro contains his trademarked high flying adventure. It lends being overly cartoony at times, but overall, the action set pieces are a blast to watch. Acting: 8.0/10- Regardless of whether you watch the film in the original Japanese or in the 2000 Manga Entertainment English dub, the film holds up well. However, as previously stated, the English dub creates a more lighthearted tone than the Japanese dub since the villain sounds more threatening and less like a cartoon character in Japanese. With that said, David Hayter, of Metal Gear Solid fame, does a great job as Lupin. Currently, the dubbed version is available to watch for free on Hulu. Art Style: 7.9/10- For late 70s animation, TMS Entertainment’s animation holds up well under Miyazaki’s direction with it featuring elements of his now iconic art style, particularly the female character designs. Otherwise, the fluidity and background art is top notch for the era. Soundtrack: 7.8/10- Yuji Ohno’s score is upbeat and fitting of the old school caper tone. Humor: 8.2/10- While some humor falls flat, for the most part, the action comedy elements of the film work rather well. 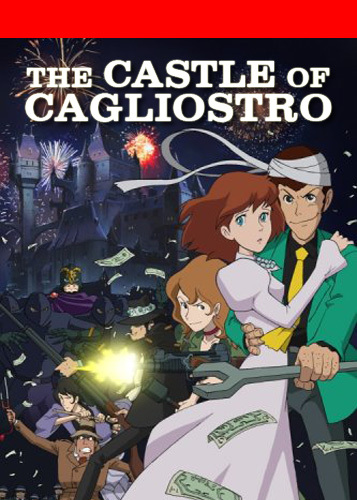 Overall: 8.1/10- With its mix of adventure, comedy, and good old fashioned fun, Lupin the Third: The Castle of Cagliostro combines old school thief capers with the spectacle that animation affords, and the results are a blast! For a debut film, Hayao Miyazaki could not have been much better! For another opinion of the film, you can read Ian's review over on Banon's Roar! by clicking here. I would like to thank him since his review convinced me to watch the movie. If you want to watch the entire movie in dub, you can watch below on Hulu. What are Your Favorite TV Comedies?